A+ for the packaging and presentation, B+ for the taste and feeling from the cannabis. Are you the discerning type looking for an artisan, premium pre roll experience? 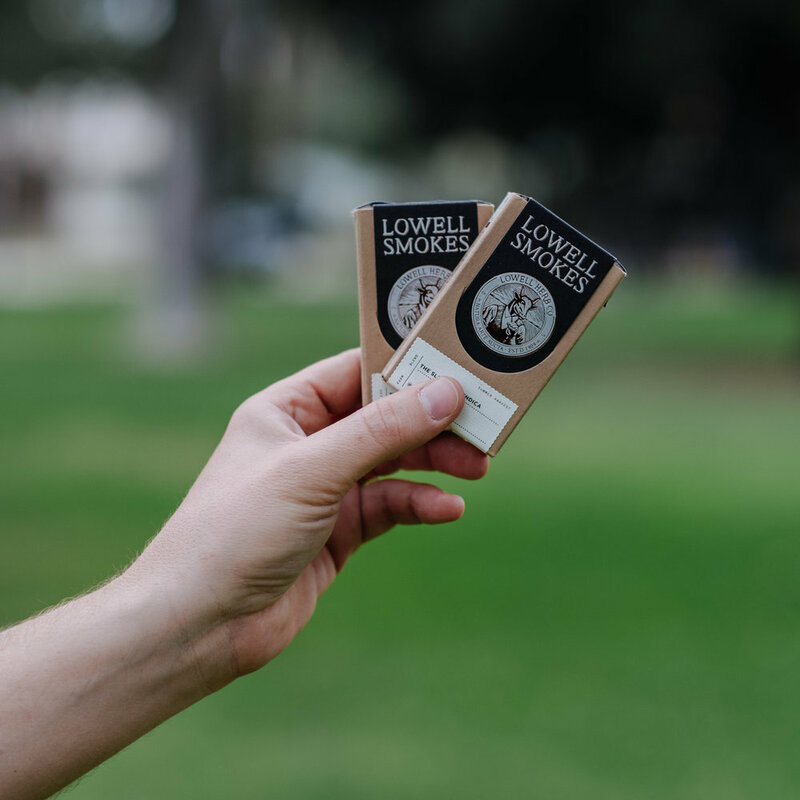 We recommend you try Lowell Smokes. We have rolled an epic, perfectly crafted joint (or two). But we admit, Lowell's rolls a damn good joint. You get 10 pre rolls in the pack, all around 2.5 inches long, filled with a Lowell's grown cannabis flowers. The cannabis varies depending on seasonality, and which product you buy. We at Budline tried the Hybrid and the Indica pre rolls from Lowell, which both had THC levels in the mid- 20's. Personally, we thought the flowers tasted uninspiring, but good enough to enjoy. Overall, we would purchase again for the experience. The taste of the paper is minimal, and the pre roll is powerful enough to get 2-3 people super stoned for sure. Not your granddaddy's pre-rolls, these "fancy joints" are premium cannabis with an interesting story. Seriously, the branding is really great, which is the least important factor about reviewing a pre-roll but still, points for being cool! Some of our pre rolls had issues of burning unevenly, and without any tube or air tight container supplied in the packaging, we had to stub out a few on the pavement. However, if you need to spark one up... you can use the packaging, seriously. There is a small box of matches and place to strike them integrated into the box.